Like many of you, I will never forget where I was the day of the mass shooting in Newtown. I was at the gym walking on a treadmill with a tiny tv attached to it. The news of the shooting broke, and I stopped dead in my tracks. I stood there staring into space, probably for a few minutes. Then, I looked up at the people around me. They were running, lifting weights, chatting, like everything in the world was perfectly fine. Had anyone else heard? Did anyone else know? I wanted to collapse on the floor and sob, right there in front of them. No tragedy is ever the same, but this week my mind drifted to Newtown again and again. The grief and fear I felt that day is etched into my brain forever, and I think those emotions have something to say. Or rather, teach us. I think that grief and that fear is how black Americans are feeling right now. I think it’s how they feel every time a black man is shot by the police. There is grief over the loss, and fear that it could happen to them (or their husbands, brothers, or sons). In that sense, I think the grief and the fear might be a bridge of understanding. And we could use those right now. Now, I think it’s important to state that this brokenness is not, fundamentally, about the police. Not really. The mistakes of individual police officers do not represent the police as a whole. What they do represent is the wider American culture. Racism is still here in our borders, and in our hearts. Unfortunately, many Americans still can’t see it. Not in themselves, anyway. Racism is “out there” but not “in me.” I don’t know anyone who would admit to being racist. But here’s the thing about racism: it’s just like every other sin in creation. And you and I? We are just like every other person. Every human possesses the seeds of every sin. It is our inheritance from Adam and Eve. The more we deny any seed of any sin, the more we allow the sin to dwell in us unfettered. Until we can acknowledge that truth, racism will persist freely in our hearts. This week, I have spent a lot of time thinking and praying about racial injustice, and the word that keeps coming to mind is “revival.” We need revival. 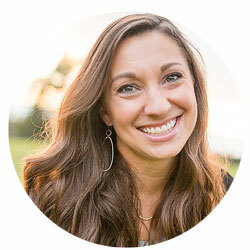 But not the kind that avoids action with platitudes about how “the world just needs Jesus.” That is often an excuse for inaction–especially considering how many Christians are contributing to the brokenness. No, what we need is a revival of seeing. We need a revival of listening. We need a revival of humility. And we need a revival of repentance. What we need in the church is something only the Holy Spirit can accomplish. We need him to sweep through our hearts with the same wind, in the same direction, to effect the scale of change we actually need. And you know what? I think he’s already started. Last night I got an e-mail from a friend of mine, Anna Broadway, who is a co-contributor at Her.meneutics. Anna wrote me to ask if I would join her in fasting and praying for our country. Around the same time, I noticed another writer friend, Trillia Newbell, issue the same call. My friend Michael Wear has been gathering Christians in prayer as well. I believe these are early signs of something big. The Spirit is moving. I see change coming. I see it in my friends who used to shout “wait for the facts!” but now join in the lament. That is God. He is turning hearts of stone into hearts of flesh. The battle we fight is “not against flesh and blood, but against the rulers, against the authorities, against the powers of this dark world and against the spiritual forces of evil in the heavenly realms” (Eph. 6:12). The pain and the division we can see with our eyes is only the tip of the iceberg. There is a bigger spiritual battle at hand, which can only be fought with spiritual weapons. That is why I am joining with my friends in calling the church to fast and pray. My friend Anna is fasting from lunch on Mondays of this month, and that’s what I am going to do also. I want to invite you to join us. During your time of fasting, I encourage you to treat your hunger pangs like a tiny, internal alarm. Let each one remind you to pray for our country, for our church, for racial justice, and for hearts to be broken and changed. Pray that we could be a witness to the good news of Jesus Christ in tangible, resurrection ways. If you have been feeling helpless, if you’re looking for something that you can do, this is a good start. Let’s fight for each other instead of with each other. Let’s do this good work, knowing that so much hangs in the balance. In all of this, I am with you. I am cheering for you. And I am praying for you too. Thanks for your post, Sharon. I also thought of Newtown as the events of this week occurred. Nancy and I lived in Newtown in 1977-1980. It was the perfect picture of peace and beauty. There had not been any crime in decades before and while we lived there. When the shooting occurred not far from where we had lived and very close to the church we attended, the tragedy was unbelievable. My point, this kind of tragedy can happen anywhere without the ‘revival’ as you described it, Sharon. 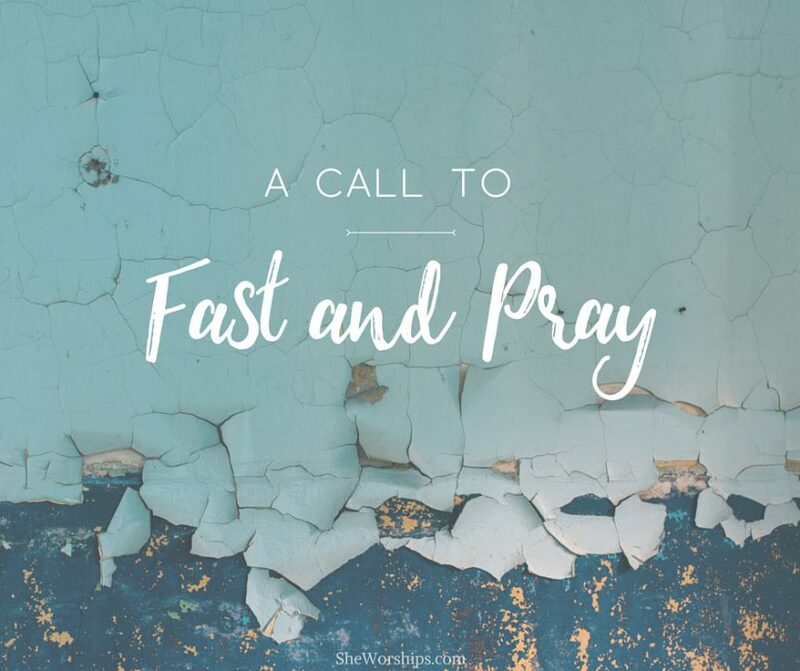 Thanks for the post and the invitation to Fast and Pray. Sharon, I really appreciated this post! It’s great to hear how God is moving in the lives of so many right now. While my current life situation will not allow for me to fast Mondays at lunch, I’ll be praying about how to join your in fasting in prayer during this season. Yes, Emily, however the Spirit leads you! Thanks for posting this Sharon. I think one thing that has been helpful for me as a white person is coming to understand that racism is much more than just an individual having negative thoughts about someone based on the color of their skin. When this is our only understanding of racism, it’s easier to say “I’m not racist.” Instead, there is systemic and institutional racism across all segments of our society, from the inequities in policing and criminal justice that have been highlighted this past week to housing discrimination (such as redlining) to inequities in educational funding and opportunities. Across all segments of our society, many of our institutions are designed to discriminate against people based on their race and/or exist as a direct result of discrimination. As a white person, I’ve then been the beneficiary of this institutional discrimination against African-Americans and Latinos. For me, in addition to learning to acknowledge and repent of discriminatory thoughts, attitudes, and beliefs that I have, it’s also about being humbled and realizing that many of the privileges that I’ve “earned” have actually come because Black and Latino people have historically been denied equal opportunities. YES! Exactly. Thanks for explaining that further. Was it not racism when a black man gunned down 12 officers because they were white and wore a badge? As a wife of a police officer who gets up everyday and puts on a BULLETPROOF vest and a gun… Who has taken an oath to lay down his life for a stranger…Who is hated because of the uniform he wears I find this very one sided. Take a look at the statistics … There are very few unjustifiable shootings by police officers. And for the ones that aren’t justifiable it’s usually a training issue or just someone who is too scared and should of never been a cop in the first place.. Of course those officers should be punished to the fullest extent of the law. I work with a large organization of LEO wives who go out into these communities are husbands work in and try to make a difference. We go into the black neighborhoods and help out in soup kitchens, volunteer at the emergency foster care centers and raise money for families in need. Some of our own husbands have unfortunately had to take a life and we as a family have had to deal with the devastating consequences of that. This has been a devastating week for our law enforcement community. Like you I feel like I did after the Newtown school shooting. I watch my husband get ready for work and I make him promise me he will make it home to me. Because guess what… He’s a white cop and that puts a bullseye on his back. And I can promise you this…not him or any of the brave men and women (including black) he works with, wake up thinking they want to kill a black person today. All lives matter…there is but one race – it’s called the human race. Christ died for ALL! That sums it up. UNITED we stand, divided we fall. We are being divided….I’m not falling for it. Tammy, thank you for yours and your husband’s sacrifice. I, and all Americans, are SO grateful for it. He is a true hero. That said, I would gently invite you to remember that the same fear you feel when your husband goes to work, is a fear experienced by many black Americans. Black women know a similar fear when their husbands are running late getting home for work. Black mothers have a similar fear when their sons visit a friend’s house in a mostly white neighborhood. It’s the fear that maybe something happened to them, not because of the uniform they are wearing, but because of the color of their skin. That fear is something I think you share in common, and I hope it can be a bridge of connection between you. Your comments are not supported by any facts. If you want to talk about black people being scared and dying the facts are black on black crime. There were 115 black people shot by other black people this week in Chicago alone. Your blog post is based on the lives of 2 men who lost their lives by police officers this week. And the investigation isn’t even done so they could of been justifiable. Your comments are part of the problem and part of why this country is divided. If you were truly concerned about black lives then the issue of black on black crime is what you should be blogging about. You should get your statistics and facts straight before you go blogging about something you obviously know very little about. Tammy, I would really encourage you to sit down with some of your African American neighbors and friends and ask them what their experience is like. I think it might be really eye opening for you. I would also invite you to engage what I said about the sin of racism. If we take sin seriously–all sin–then we have to acknowledge the seed of all sins in every human heart. I can certainly see it in myself, and until we confront it in ourselves, healing will be impossible. You need to do a ride along with a police officer in a bad neighborhood.